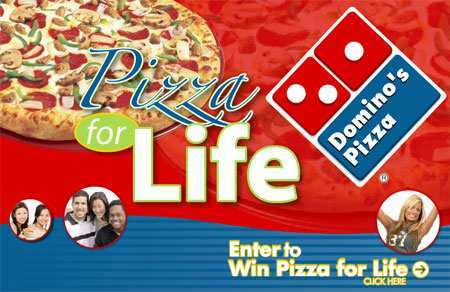 Go to http://www.dominosdirect.ca/ and enter their contest. You will win an free order of Cheesy Bread along with another free item and if youâ€™re really lucky you could win free pizza for life! Yay for free cheesy bread!